Greater Noida (28/2/2019) : There is a very crucial situation between India and Pakistan right now. One of our brave pilot is in their Custody and to understand the situation better we have with someone who has ruled those sky as a significant part of India’s proud Air force. We spoke with Retired Wing Commander Harinder Singh who was Born in Dec 60 in a farmer family and joined Indian Airforce as Fighter Pilot through National Defence Academy in Dec 81. In the Air Force he flew the Mig 21 Bis and Mirage 2000 which is the same aircraft that took part in a pre-emptive strike on 26Feb19. He is also trained for special operations like Laser Guided weapons and had Participated in Kargil operations in 1999. He was also a flying instructor in IAF and served as Deputy Director Air Defence in Air HQs (1998-2001), who was in charge of Mirage 2000 fleet. 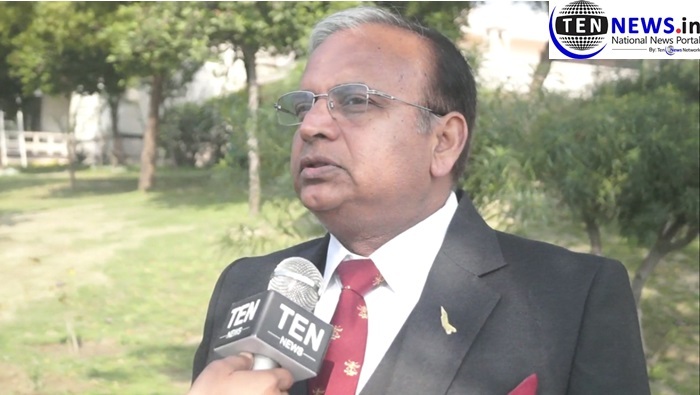 Ten News sought Wing Commander (Retd) Harinder Singh’s expert views on the ongoing situation in India . What ’s your reaction over the current situation at LOC? This is the action we had to take not which we want to take, earlier we had a lot of terrorist attack on us and this something we can’t accept, recently we lost 43 soldiers life so the country had to react on this. This is the right decision taken by the government and Air Force has delivered great work by carrying out air strikes. Do you think now we are heading towards a full-fledged war with Pakistan by capturing one of our soldier and also indulging in reckless misadventure of entering inside LoC, do we have any other option? I don’t think so because the matter which got escalated that yesterday three F-16 formation coming to India for destroying our installation which was engaged in a dog fight by Mig- 21 and an F-16 was also shot down. While chasing the enemy fighter aircraft our Mig entered in their territory which was shot by a surface to air missile. So one of our pilot in their captivity but as per Geneva Convention, they have to release our pilot. In modern warfare how important is the role of the Air Force and compared to Pakistan where exactly we stand? We are lacking in the required number of squadrons. Do you think this will affect air force striking capabilities against Pakistan? Attempt to taking our forces to an optimum level is always made by our government and which is recommended by Air force as well I don’t think so that the present strength will hamper our chances of winning the war if it takes place. So from all the three armed forces, what’s your expectations and how would you suggest a political class to deal? I don’t think the government needs my suggestion, The government Is doing a good job and we leave this to decision taking committee which we have with the support of all three armed forces. Don’t you think that Mig -21 is outdated aircraft . is it ok to fight with that by the Air Force? Yes, Mig 21 is an old Aircraft but it got upgraded with latest avionics, missiles and it’s a capable aircraft but in compression, to F-16 it’s not so good. Having said that even if the machine s good what makes the final result is the man behind the machine. As it’s not feasible to deploy SU-30 or Mirage 2000 everywhere so there will be certain places where Mig will be taking part in operations. EPSI’s B-Schools Leadership Conclave 2019 Concludes in National Capital!